Gwyneth Holland has worked for leading trend agencies such as WGSN. She now consults for a broad range of blue-chip clients and teaches at the University of Westminster. Rae Jones is a footwear and accessories specialist who has worked at WGSN and now contributes to trend organizations around the world. She runs an accessories brand, Buckitt, and also teaches at the University of Westminster. 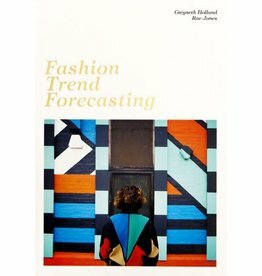 A practical and accessible guide of how to understand and produce well-researched trends. Features interviews with current practitioners.